It is officially 2016 and I am constantly amazed at how BAD peoples passwords are that they use to secure their most important accounts. Every data breach that happens we hear about people still using passwords like “123456” and “Password”. Companies like Apple and Google really don’t help encourage us to create and use strong passwords either since we are always needing to enter them in on our web browsers, phones and tablets. While we struggle with needing to keep our data secure behind strong passwords two of the most popular tools to do that are LastPass and SplashID. There are other password managers but LastPass and SplashID are the two I choose to take a closer look at this time around. Let’s start by comparing the two in several different features. No one wants to spend a ton of money to manage passwords. Let’s face it for years people have had different ways to manage passwords from spreadsheets to simply writing them down. While all of those ways have their own set of problems the cost of managing passwords that way is they are free or relatively free. 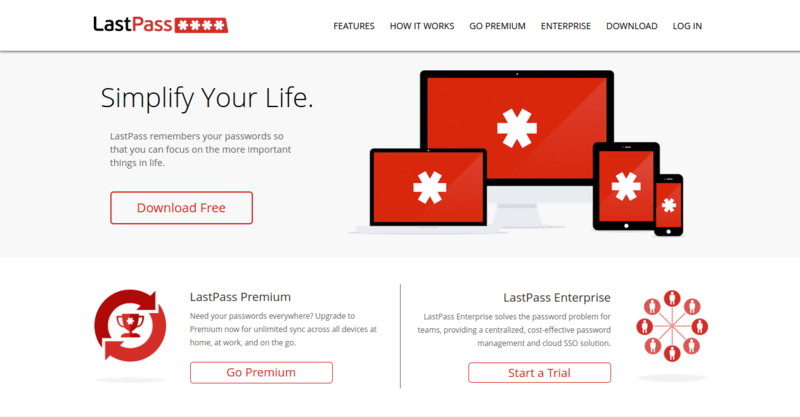 The best part of LastPass is the ability to use it for free. 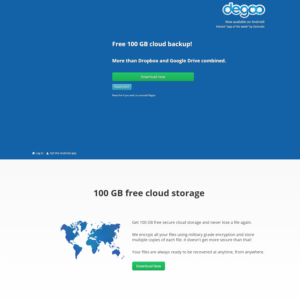 You can use it for free on any device free of charge so if you want to only use it on your mobile you can do that. Only when you want to sync your passwords across devices do you need to move up to the Premium version. Of course the premium version only costs you $12.00/year. LastPass will make managing, remembering and filling in forms so much faster and easier that it is worth every cent of that $12.00/year. Both LastPass and SplashID cost less than most people spend on coffee at Starbucks or Tim Hortons in a month and they will both make your life easier. 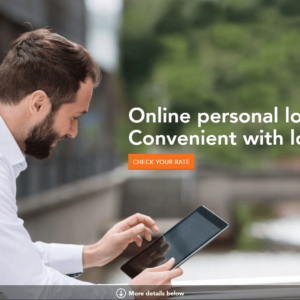 Overall I would say if you want to save a few dollars LastPass is your best choice but really the price difference is negligible and will call it a tie. One of the best parts of using a password manager over the old way of keeping passwords on post it notes or spreadsheets is the ability for forms to be automatically filled in for you when you need to login to your favorite website or store. No need to copy and paste. LastPass makes it easy to save your form data after you have filled in a form and will ask to save that data for you. The next time you visit that website or even app on your phone LastPass can fill in your login and you can simply login. SplashID also has the ability to fill in web forms and save your data, but I will admit I had a hard to getting it to work. To be fair I think it was more the way I was using the Chrome extension than there was a problem with the extension itself. I have to give this round to LastPass but like I said it could be user error. Having your passwords available with you no matter what device you are using from web browser to your tablet or mobile your password manager has to be there with you. 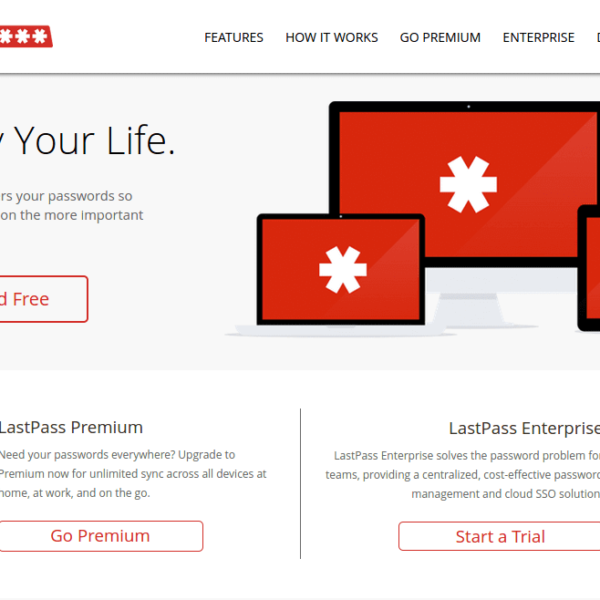 LastPass has downloads available for Windows, Mac, Linux and also covers iPhone/iPad, Android, Dolphin Browser, Firefox Mobile, Blackberry, Windows Phone, Firefox OS, Windows Surface RT. I have always been impressed how many devices LastPass offers apps or access for. You can always access your vault online as well even if there is no official app available. 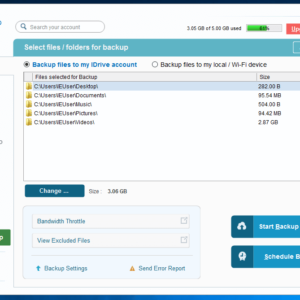 SplashID offers downloads for almost as many devices and operating systems. The list includes: Windows, Mac, iPhone/iPad, Android, Blackberry, Windows Phone and a Chrome Extension. The list is not as long as LastPass perhaps but the certainly cover the major devices and operating systems. I have to give this round to LastPass since the do cover a few more systems and devices than SplashID. Sharing logins with other people is one of the best features of using a password management system. Gone are the days of sending insecure emails with login details and passwords. Sharing logins and passwords with LastPass and SplashID allows you to share the login and password while still keeping the password secure. Both services are pretty equal here so I won’t break it down be service and will just call it a tie. 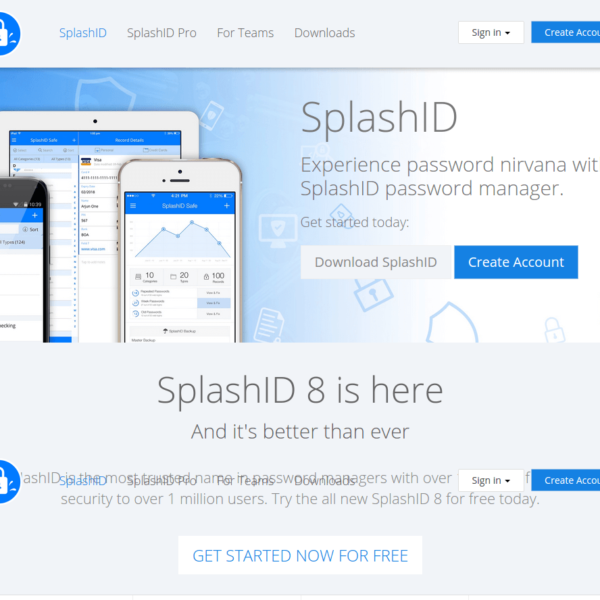 Creating secure passwords is another feature that is essential if you are using a password management service and both LastPass and SplashID have the ability to create secure passwords for you and help you manage them. The more secure your passwords are by using capitals, numbers and special characters the more secure your accounts will be. Again both services offer this feature and I will call it a tie. I am not a security expert, I will never claim to be but I do know that password management services should keep my passwords secure by making sure they are encrypted in the event those passwords and files end up somewhere where they do not belong. 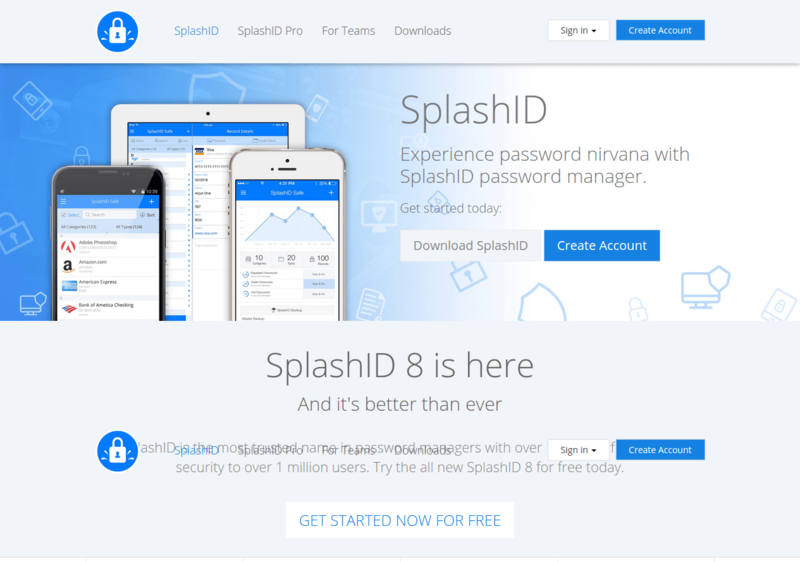 SplashID also offers several layers of protection to keep passwords secure. Passwords are encrypted using 256-bit Blowfish encryption and can be set to be keep only locally on the device. Both services also offer some form of multi-factor or two factor authentication to help keep your accounts safe. While I do not have a preference of one type of encryption over another I will call this a tie. It really comes down to a personal preference which password manager you prefer since both LastPass and SplashID are so close on so many ways. Personally I choose LastPass as my password manager. 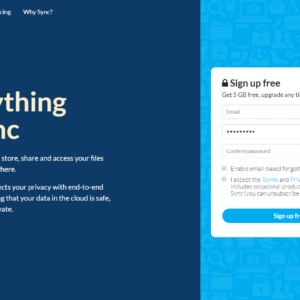 It fit in well with my workflow and has continued to offer me the features that I need including the ability to easily generate passwords and share passwords and logins with coworkers without exposing the actual password has been great. No matter which password manager you do choose the important thing is you do find a better way to create and use strong passwords to keep your accounts safe. What password manager do you use? Leave a review of your favorite service, either LastPass or SplashID, and let us know what you like or dislike. Your favorite service not listed? Let us know and we will add it.